Breaking up is never easy, especially when you’re convinced he’s the one. Even if the break was your idea, you might find yourself wanting your ex back after some time has passed. But what if he seems happy without you? What if you don’t think he misses you? Can you make him want you back? We think so! Read on to find out how. If you want to know how to make him want you back, you need to understand the parallels to playing hard to get. You want to appear happy, healthy and confident to drive him back into your arms. In this process, you should be relearning how to be all those things, which can be trying if it feels like your heart is breaking. But there’s a balance because if you come across as too independent, it might actually push him away. Sound confusing? We can help. Being your best self makes you more attractive to your ex as well as other men. But, perhaps, more importantly, it helps you to develop the skills you’ll need to move forward no matter what your outcome is. Here are a few steps to be happy and healthy that will encourage him to want you back and also be good for your soul. Have fun with friends and family. Reconnect with people who may have fallen to the wayside while you were flirting, dating or in a relationship. Know your worth. He doesn’t want you, which doesn’t mean that you’re worthless or that no one will. The problem might be all with him, and even if you’re single for a while, there are plenty of other ways you bring value. Perhaps you’re an awesome artist, mother, sibling, boss, volunteer or friend. Those are all worthy things! Exercise. Being fit is attractive, but the endorphins your body experience boost mood, too. Eat right and get enough sleep. It’s good for your body and skin, and you’ll feel better when you’re properly rested and feed. Dress your best. Perhaps add a new piece to your wardrobe or replace it entirely. Sometimes we slack a little in a comfortable relationship. Time to upgrade. When you look in the mirror, you’ll feel good, and he’ll want you, too! Get a new hairstyle. New era, new hair! This is a pretty universal thing many women do once they’re single. Few things perk us up like a flattering haircut. Engage in hobbies. Whether you’re getting back into painting or finally going to try yoga, go for it! Hobbies fill your time and expand your network. Who knows, you might forget to get your ex back when you find someone new. This is a pretty comprehensive list that keeps you busy, which is good for your heart, and encourages health and happiness. There are a few more things to do to get him back, however. It might not seem like the way to make him want you back because it doesn’t directly involve him, but these things will all affect how he sees you – and how you see yourself! It’s our first instinct to keep in contact with someone in situations like these. If we don’t, they might forget about us, right? Texting him about all your good times is definitely how to make him want you back! That’s not actually true. If he has no interest in coming back to you, this might only annoy him. If he’s on the fence, he might decide you’re too needy – more on that here – and walk away. You might need someone to talk to because your best friend is now your ex, but it shouldn’t be him. Enlist your closest female friend, your sister or your mom, instead. Don’t be readily available if he wants to talk or spend time together. You’re busy or, at the very least, he should think you are. Make him wonder what or who you’re focusing on instead of him. Be positive if you do have to interact. Smile. Don’t let on that you’re struggling. Talk about your life being awesome and busy. Show him what he’s missing. This means being positive, attractive, fun and the person whom he fell for in the first place! Delete him. Remove him from your home or social media. This makes it harder to Facebook stalk him or send that barrage of messages about how much you miss him and want him back. It’s not even a good idea to text him that much when you are together! Learn more about the no contact rule and how it can work for you in this post. Realize that many guys will become so curious when you go no contact that they’ll be practically begging for you to talk to him. But this isn’t always the case. Some guys are turned off by “games” like this. Nothing makes a guy want you back more than a little jealousy! Read this to learn more about making him jealous. If he even thinks you’re interested in another guy, he’ll focus more of his attention on you. It doesn’t matter if you’re not quite ready to move on or just spending time with a friend, either. Going on a few dates. Even if you’re not looking, it doesn’t hurt to grab a bite to eat or play mini golf with someone. Dating should be fun, remember that. The word will get out that you’re dating. That’s how to make him want you back! Flirting with other guys. Again, it needn’t be serious. Some friendly flirting helps you get back in the game and brush up on your flirting (we’ve got plenty of flirting advice, too!). It can make you feel wanted and boost your self-confidence. There’s no rule that something needs to come from flirting, either. Letting people know you’re single. If you didn’t make a big deal about the breakup – and often you shouldn’t! – then you might want to make it clear to people that you’re no longer together. Don’t be spiteful. Just show that you’re confident with your new single status. Returning his stuff. As long as his t-shirt and CD collection remains at your place, you’re giving off signals that you’re not ready to let go. Show him that you’re okay with moving on by kindly returning it. This is probably the better option than trashing, burning or giving it away if you want any chance to get your ex back. 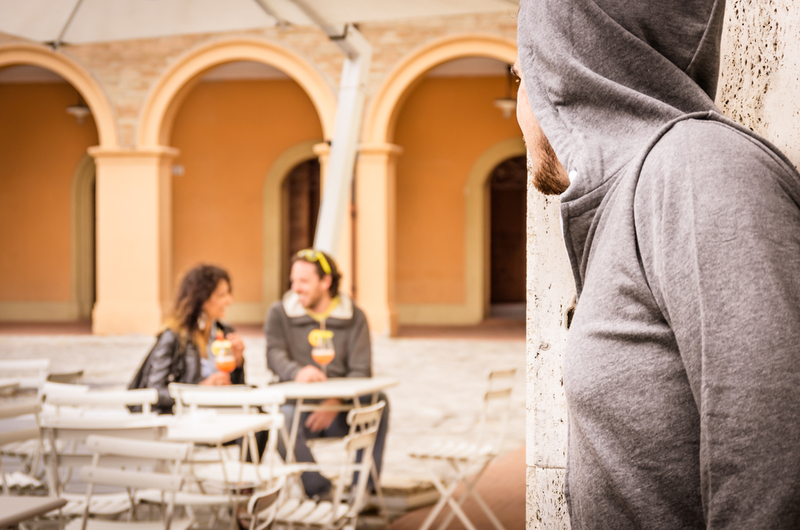 So you’ve got a few ideas of what you should do to get him back, but we also have to warn you away from the following behavior, which is not how to get him to want you back! Don’t beg for his return. It makes you look needy and, frankly, it’s not appealing. This is why being happy and healthy works so well to get him back! Don’t sleep with or date someone just to make him jealous. Flirt or date if it feels okay, but don’t force these things, and don’t drag someone else’s feelings through the mud just because you’re not over someone. Don’t be passive aggressive. When you see this guy, don’t thank him for breaking your heart because your life is “soooo much better now.” Be content and gracious but not saccharine. Your true colors will show easier than you think, especially if he knows you well. Don’t talk poorly about him. People will ask if you’re broken up and why. There’s no need to go into details. Tell them it was time to move forward. Be upbeat but firm about this point. Gossip will only hurt your case! Besides, you never know if those people will gossip to your recent ex about how bitter, sad, pathetic or otherwise unappealing you are. And how do you think he’ll respond to that? There’s no secret if you want to know how to make him want you back. There is a fine line to walk between being making him curious and jealous and finally severing your relationship. It’s easy to take some of this advice too far and be negative as well. That’s why you need to be okay with the idea that he might not want you back. This is why self-improvement and increasing your happiness as a single person is beneficial, even if you’re still single at the end of the day. Why Do Men Lie to the Women In Their Lives?